We spent today in the historic district. Today’s highlight for me was a visit to the print shop in Franklin Court. 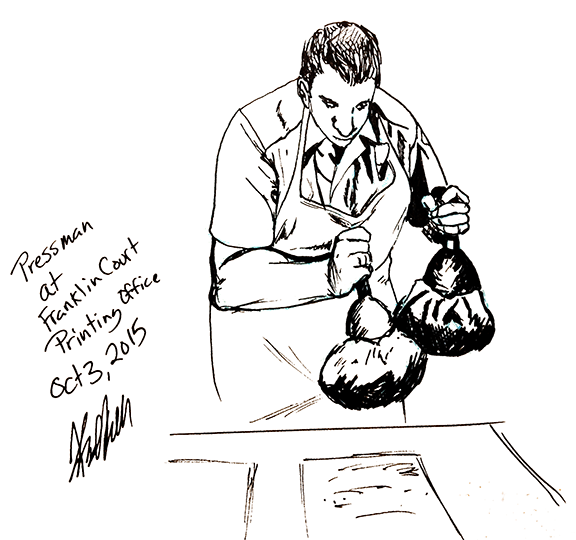 Pressman applying ink to plates at the Franklin Court Printing Office.